As websites and mobile applications get richer in image content, and as developers realize that they are spending precious time implementing image solutions in-house, we see more and more startup companies joining the Cloudinary community. 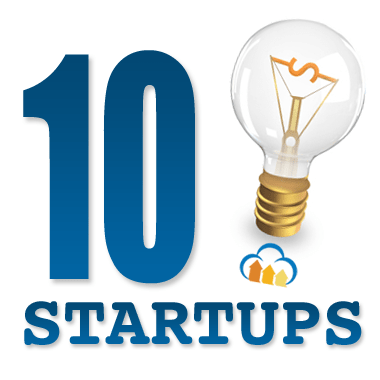 Presented here are 10 startups we are lucky to call our customers, from various verticals and business lines, that leverage Cloudinary's cloud-based image management solution. These sites and apps utilize Cloudinary for scalable and flexible image file uploads, cloud-based managed storage, powerful on-the-fly image manipulation and super fast delivery. This is the fifth group of 'startups that use Cloudinary' we chose to present. You can see previous posts here: Part 1, Part 2, Part 3 and Part 4. WeWork is a platform that empowers small businesses to succeed and run easily by connecting them and allowing freelancers and entrepreneurs to focus on what they do best. Gig Salad is the marketplace for event talent and services, providing the ultimate booking experience for both the talent and the buyer. Gig Salad use Cloudinary to create the blurred background images for every one of their users. Cir.cl is where people connect to buy, sell and make connections over things they are passionate about. More than just making the sale, Cir.cl is about making connections! BabyVote runs a monthly competition of all the cute babies of the world! Images of the babies are user uploaded through Cloudinary, and a baby's profile thumbnail is created by utilizing Cloudinary’s face detection based cropping. Read more about user uploaded images directly from the browser and how to crop by face detection. BrightTALK provides webinars and videos for professionals and their communities, sharing insights, ideas and most up-to-date knowledge with professionals all over the globe through the technologies that BrightTALK has created. Zozi aspire to make everyone’s passions accessible, and help discover new ones. Described as the brand for adventure, Zozi lets you discover and book extraordinary experiences with expert guides. Zozi utilize Cloudinary’s add-on features, for the best trip planning experience. Read more about Cloudinary’s add-ons. Picfair is a versatile open-to-all image market, controlled by the user. The images are uploaded via Cloudinary, using our private images feature, strict transformations, private download URL’s and watermark overlay. You can read more about these features: How to quickly build a stock photo site using Cloudinary and Adding watermarks, credits, badges and text overlays to images. Updater’s mission is to simplify the way that America moves, by creating a user friendly service. From forwarding your mail to hooking your new place up, Updater has got it covered! All the images on-site are managed, transformed and polished by Cloudinary. Ecohabitude is an online marketplace where you can buy, sell, and source eco-friendly products and materials. Ecohabitude uses Cloudinary to manage their images and dynamically generate thumbnails to perfectly fit their website design. PeerSpace exists in order to help companies and individuals find one-of-a-kind short-term spaces to inspire their best work, whether for an off-site or meeting, corporate or social event, or production of any kind.